All gas dryers come from the factory setup for natural gas. If you’re gonna use propane with your dryer, you’ll need to convert it. The cost for this conversion is generally not included in the delivery fee because a company assumes significant liability if they do it wrong, like this guy did. They’re all the same so this one will work just fine. The kit comes with instructions and stickers. Follow the instructions to the letter and affix the stickers on the dryer as instructed. The purpose of this post is to give you a peek at what’s involved and to supplement the instructions, not replace them. 2. Shut off the gas to the dryer, shown below. Now we’re ready to go inside ‘cuz that’s where all the action is, including the gas burner assembly. This page will help you with disassembly for most models. 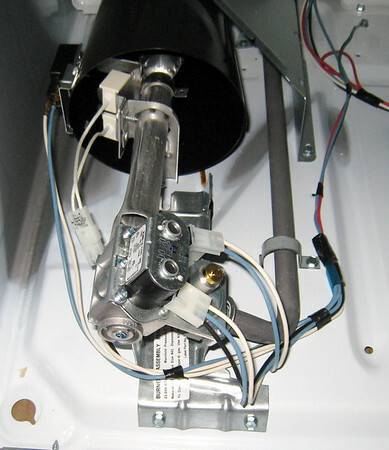 More dryer disassembly help is in the Laundry Appliance Repair Forum. 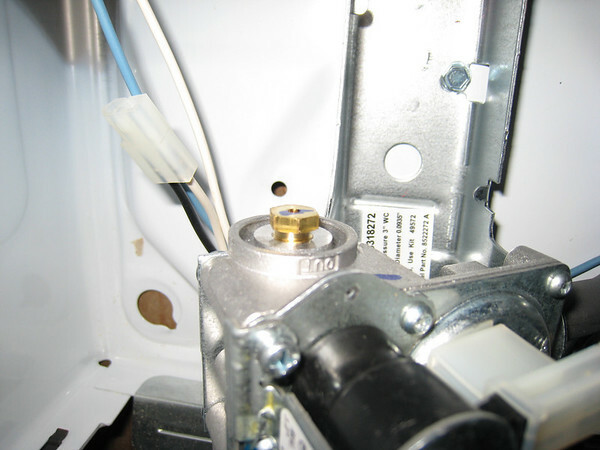 Next step is to get familiar with the basic anatomy of the gas burner in a dryer. 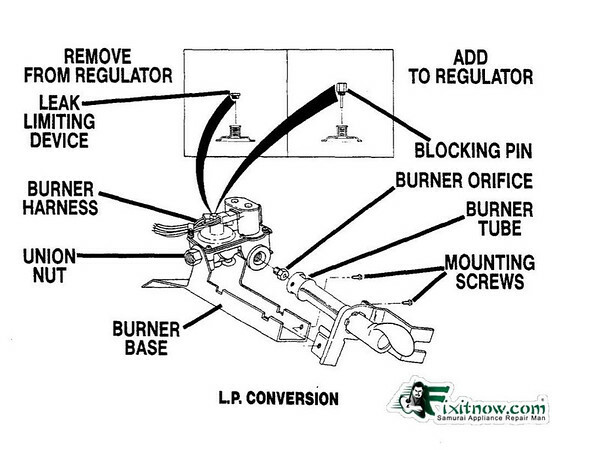 Here’s an picture a typical burner assembly. Here’s a closeup of the ignitor itself, just so you can see what it looks like. So, stepping back and looking at the big picture with the drum out, the guts of a typical gas dryer look like this. Enough anatomy, let’s get on with the conversion! Turning first to the gas valve and regulator, there’s the brass plug with a little nylon pin sticking out of it (see the conversion kit picture above). That white nylon pin is called the blocking pin. Unscrew the plug on the valve, called a leak limiter, and replace it with the new one that has the blocking pin. 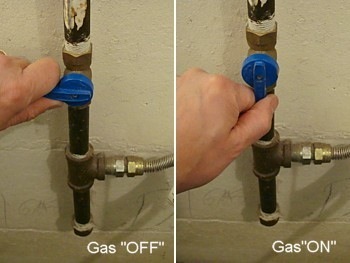 This changes the gas regulator pressure setting for propane. Next, change the orifice metering plug in the burner. This controls the amount of gas that enters the combustion area. One point of technique here. 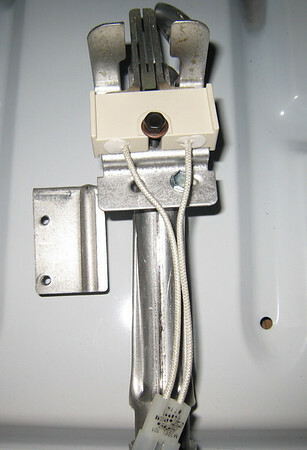 Both the metering orifice and the blocking pin plug are made of brass and going into a steel valve body. Brass is softer than steel and will make a gas-tight seal without having to use gorilla force. When you screw these brass fittings in, don’t go nuclear, just snug ’em down. Here’s a pictorial diagram that summarizes the entire conversion process. 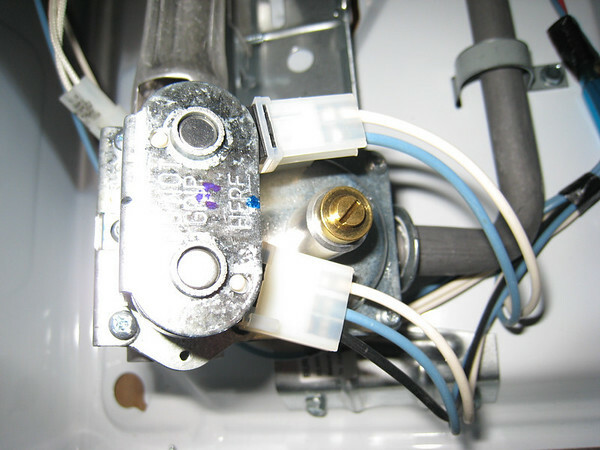 Next, turn the gas back on and leak check around the blocking pin plug. You can make a solution of dishwashing liquid and water and just dabble a little bit on there. If no bubbles, then you’re good to go. Wipe it off and let’s move on to the last step. Last step is to put the dryer back together and run it to make sure that the burner fires up and doesn’t stink like rotten eggs. If all that checks good, go pop yourself a cold one and grab me one, too, while you’re at it, Budrow. Domo! 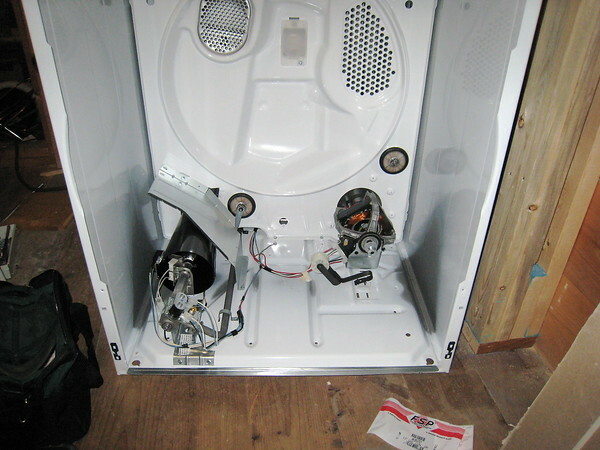 This entry was posted in Dryer Repair on March 13, 2009 by Samurai Appliance Repair Man. I just did this conversion yesterday and everything works no leaks but it takes longer to dry clothes and does not seem to get as hot. I can hear the propane ignite and burn and then stop after ten seconds run for awhile and do it again. Is this normal? Sounds like you do not have enough air flow and the High Limit Thermostat is shutting down the burner. Once it cools off, the burner re-lights. This is causing the long dry times.